From Victorian parlors to modern steel and glass office buildings, the Boston fern is a classic houseplant that is easy to grow. But like any other plant it sometimes falls victim to plant diseases that can spoil its good looks and even result in the plant’s death. Forewarned is forearmed, so take good care of your prized Boston fern, and watch for early problem signs. 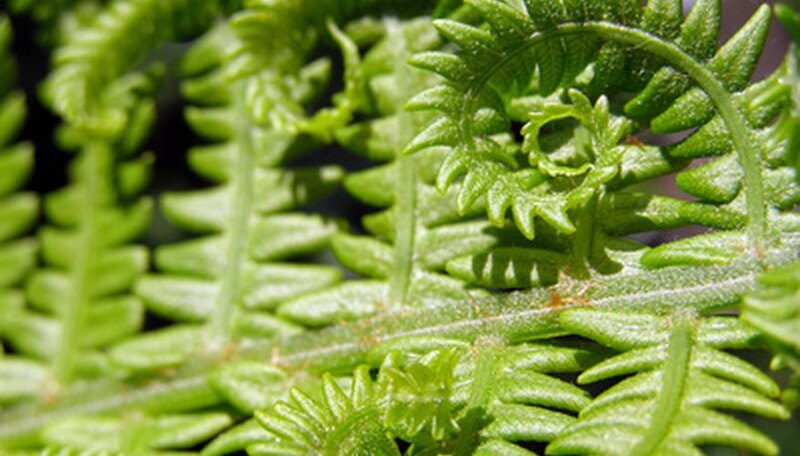 Varieties of Boston fern include Bostoniensis, Compacta, Dallas, Florida Ruffle, Fluffy Duffy and Massil. Florida Ruffle and Fluffy Duffy are subject to the Pythium fungal disease because the fronds grow close together, making the plant dense. This restricts airflow, which plants need in order to resist many fungal diseases. In greenhouse conditions these varieties may develop Pythium root rot when the amount of light they receive is low and humidity is high. The symptoms of this disease include fronds that turn yellow and wilt. This form of root rot may stunt the fern’s size. This disease is most likely to occur when plants live in cool, dark conditions and their growing medium stays cool and wet. Transplant your diseased Boston fern into a sterile potting material using a sterilized pot if root rot disease strikes. Start with a disease resistant variety that is from stock known to be disease free. Chemical control is effective against this disease, according to Alabama A&M University. Rhizoctonia aerial blight, a fungal disease, usually occurs in summer, according to Alabama A&M University, which advises owners of Boston ferns to keep a close watch on their plants for signs of this disease. Look for irregular brown lesions on the fronds, paying special attention to the center, or crown of the plant where all fronds emerge. The plant can quickly become covered with a brown web-like coating that is indicative of this disease. The pathogen that causes Rhizoctonia lives in soil, so you must treat both the fronds and the roots. Repot the Boston fern into a sterile potting medium and a sterilized pot if you believe it has Rhizoctonia. Boston ferns can develop brown tips on their leaves and runners, which often causes these plant parts to die back, the University of Florida reports. Soluble salts in the potting soil, sprays or chemical fertilizers that are used on this plant cause this condition. If your irrigation water is high in salts, it can also cause these problems. To rid your Boston fern of these salts, leach it with good quality water place it in a sink, bathtub, or outdoors. Then run at least one gal. of clean water through the soil. Repeat this flushing operation several times, then allow the soil to dry slightly before you water your plant again. Leaves that have turned brown will continue to wither and die, but healthy new growth should develop soon.